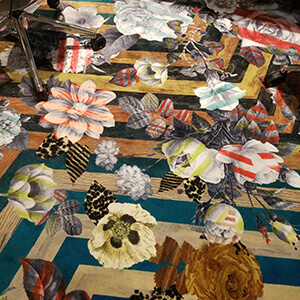 The showrooms at NeoCon were filled with progressive design and inspiration. As we explored the displays, we obtained a global perspective of the trends in the workplace today. It was evident that the workplace has transformed tremendously over the years and continues to unfold as new generations enter the workforce. As seen at NeoCon, here are five design trends emerging in the workplace. Millennials may be prominent contributors in the workforce, but it’s not uncommon for trends from the past to make a comeback. 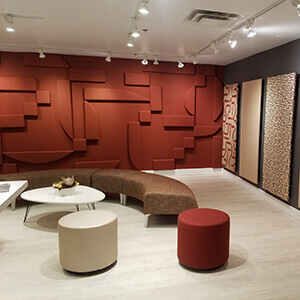 Although 30 years have passed since rust and mustard colored furniture filled the rooms, muted earth tones, parquet flooring and upholstery featuring circles are reemerging from the ’80s. Wellbeing has been a big focus on workplace design for the last few years and will continue to evolve. 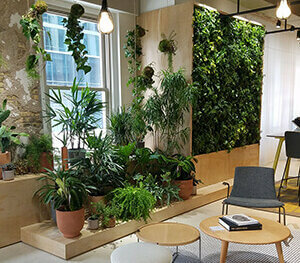 Studies have shown that incorporating plants into the workplace can enhance psychological wellbeing and increase productivity. 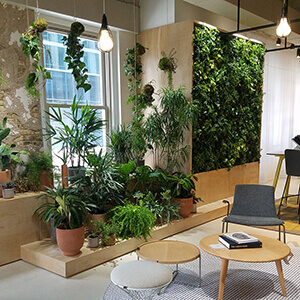 Not only is biophilia a crucial aspect to workplace wellness, but natural materials are being integrated into the building framework and furniture. 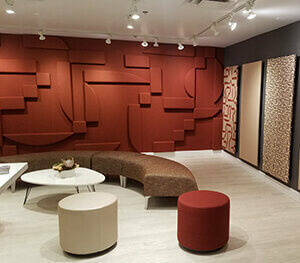 Furniture, carpeting and upholstery are becoming saturated with bold colors and prominent patterns. Chairs dipped in color from top to bottom will accent collaborative areas and conference rooms. 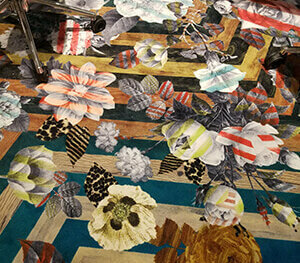 Carpeting featuring flowers, stripes and an assortment of shapes will bring character to the flooring. The contrast between color and shapes will fill the space with energy. As teaming is on the rise, there’s no doubt that offices with open concept layouts and collaborative workspaces are still trending. However, it can be a challenge for offices with a smaller footprint to sufficiently accommodate both collaborative areas and private meeting rooms. By using collapsible panels and multi-purpose furniture, open spaces are being quickly transformed into private areas barricaded from sound and visual distractions. This strategic use of furniture and panels allows for a flexible workspace that can serve multiple functions. Two of the showrooms featured design elements from a galaxy far away. With upholstery covered in meteoroids and bookshelves adorned with spaceships, accent pieces from outerspace may be making a mark on planet Earth.